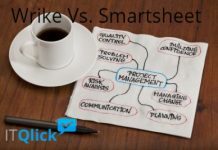 2 Smartsheet vs Trello: Which is Better? A project management tool is meant to make your life easier, right? 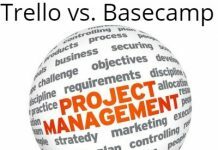 Your team might require a product with more capabilities to manage projects and tasks and to get organized. 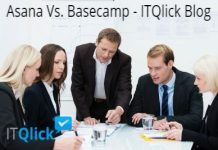 If you are looking for a new task management tool, you may find it difficult to find the right product with the right features at the right price, especially with so many options available. So what is the way out? 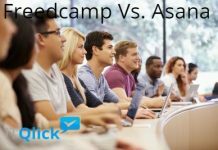 Let us compare two of the most popular tools – Smartsheet vs Trello – to find the best option for your business. Trello is an easy-to-use project management app with lists, cards, and boards. It is available for a range of platforms, web and mobile, including Windows8, iOS, Android, and Kindle Fire. First-time users might still be confused as to what to make of the cards, boards, and lists. But as you get a hang of the task management app, you will begin to appreciate the simplicity of Trello in keeping your business organized. 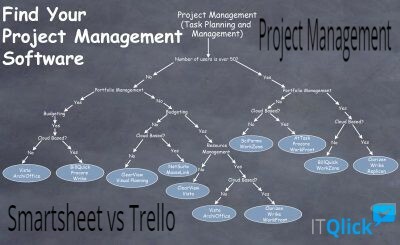 If Trello seems too visual, then Smartsheet might be a good choice. Designed like spreadsheet, the project management app is designed to organize projects into sheets. There are several templates that can be used for formatting purpose. The best thing about Trello is that its interface is remarkably similar in the desktop and mobile versions. You can see open screen real estate, with Boards representing your projects. You can easily create boards and add lists and cards. Trello makes it easier to break a huge project into small tasks that are easy to manage. Smartsheet is as easy to use as a spreadsheet. If you know how to use spreadhseet, you can jump right into Smartsheet and start using it right away. Of course, you do not even need to be a spreadsheet pro. There is much more in Smartsheet to make tasks easier and organized. It uses Gantt chart to cover everything in a project. So you know where the project is heading and if it is on schedule. Users with technical skills can leverage Trello’s developer API section to develop apps and plugins. It does offer basic integrations with commonly used tools. Trello’s free version offers integration one time per board. However, for paid plans, there is no cap on the number of times you can use the integration feature. On the other hand, Smartsheet offers fewer integrations compared to Trello. However, it does integrate with Google Drive, Salesforce, Skype for Business, and Dropbox. Both Trello and Smartsheet integrate with Zapier. This integration enables you to connect to numerous apps through Zaps. Trello enables you to make boards public or private and change the viewable settings for team members. It is easy to share boards on email addresses. The best thing about Smartsheet is that customization is a breeze. You can customize the layouts if no templates work for you. Enter due dates or data and expand and collapse columns and rows in a hassle-free way. Sharing your Smartsheet is a breeze. You can email a link to numerous users in one go. The free version gives access to Trello’s basic features. In the free version, users cannot attach a file heavier than 10MB. However, you need to upgrade to Trello Gold to access more features and upload heavier files to boards. It costs $45 annually. Then there is a Business Class version that gives administrative features for $45 annually. Smartsheet is free to use for 30 days. The first monthly paid plan starts at $14 per user per month. Then there is a business plan available for $25 per user per month. For Enterprise plan, pricing is available on quote. Trello offers support through forums and documentation. However, they do not offer phone support. Contrarily, Smartsheet offers live and phone support. There is training and ticket support available too with Smartsheet. Trello presents a similar interface in mobile and desktop version. It is compatible with iOS and Android. Users love its mobile version, as it is easy to user just like the web version. Contrarily, Smartsheet makes the spreadsheet format accessible on mobile. However, Trello offers a better visual view than Smartsheet in mobile. Trello’s mobile app is easier to use than Smartsheet app. 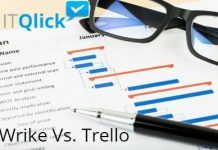 Smartsheet vs Trello: Which is Better? Smartsheet is a better collaboration platform than Trello in terms of support, security, reporting, and scalability. 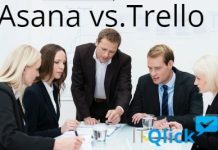 However, if you are on a tight budget, you may want to try Trello, which is the most affordable team collaboration tool. The free option enables you to add as many members as required to access basic features. Additionally, you can upgrade to a paid version for $10 per month. Smartsheet plans start at $14 per user per month.